The National Kidney Foundation Serving Maryland and Delaware (National Kidney Foundation Serving Maryland and Delaware) is committed to protecting the privacy of its visitors and donors. 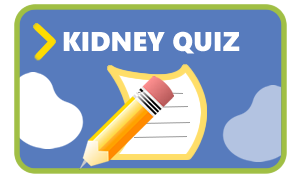 Information gathered through the National Kidney Foundation Serving Maryland and Delaware web site is used to monitor our site’s effectiveness and to respond to your questions and requests. Through this site we collect information about the domain name (.com, .net, .edu, .gov) of a visitor/donor’s server (i.e., the name of the Internet service provider’s computer that funnels traffic to the Internet) but use it only for measurement purposes. These measurements provide web site statistics such as the number of visitors/donors, “hits” and top pages transmitted. Knowing how the site is used helps us develop plans for improvement of the site. The data we collect are totals of those visiting from a domain and not information on individual visitors/donors. The National Kidney Foundation Serving Maryland and Delaware does not sell, trade, or rent personal information about its Web site visitors/donors. You may request to opt-out/have your name removed from these mailing lists. Additionally, donors may request to be removed from any/all lists (online or offline). Please e-mail us at info@kidneymd.org and provide your full name, mailing address, and a sentence requesting deletion of your postal information from our files. E-mail addresses provided to us are used to distribute e-mail advocacy alerts, e-newsletters and various National Kidney Foundation Serving Maryland and Delaware updates. In these cases, the visitor/donor will have the opportunity to “unsubscribe” or request removal from future e-mail advocacy or update mailing lists. When you make a donation or purchase online, we need to know your name, e-mail address, mailing address, credit card number and expiration date. This allows us to process, fulfill, and acknowledge your order or donation. Secure server software encrypts all information you input before it is sent to us. Individuals/Donors may receive periodic mailings from the National Kidney Foundation Serving Maryland and Delaware via the U.S. mail. If you do not wish to receive such mailings please provide your full name, mailing address, and a sentence requesting deletion of your postal information from our files, and e-mail it to info@kidneymd.org. By using the National Kidney Foundation Serving Maryland and Delaware Web site, you consent to the collection and use of the information described above. Any changes to this policy will be posted prior to their implementation. 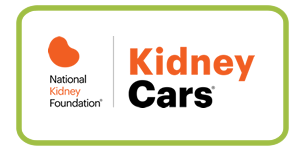 The National Kidney Foundation Serving Maryland and Delaware (National Kidney Foundation Serving Maryland and Delaware) respects the privacy of our donors. We maintain the following policies to assure our donors that their personal information will be protected and will not be shared with any third party. All credit card information is entered online through a secure page, sent to National Kidney Foundation Serving Maryland and Delaware and processed by our system/staff. Once an online donation is submitted secure measures are in place to ensure that a donor’s credit card information is not compromised. National Kidney Foundation Serving Maryland and Delaware will not sell, rent, or lease donor information to other organizations. As part of our donor recognition efforts, National Kidney Foundation Serving Maryland and Delaware may publicize donor names through its annual report, newsletters, website, and promotional materials (in the case of sponsorships.) 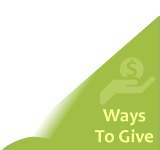 Generally, the specific gift amount will not be identified, but the donor will be recognized under the level of giving category that is appropriate to their donation. Donors always have the option of remaining “anonymous” when making a donation and will not be publicly recognized. All access to donor information is strictly limited to National Kidney Foundation Serving Maryland and Delaware personnel who need to process data. No unnecessary person, group or organization will be allowed to access such data. Board members may be given information on the names of donors, donor history and the amount of gifts if needed to fulfill their responsibilities as directors of the organization. All board members and staff are required to maintain the confidentiality of donor information.